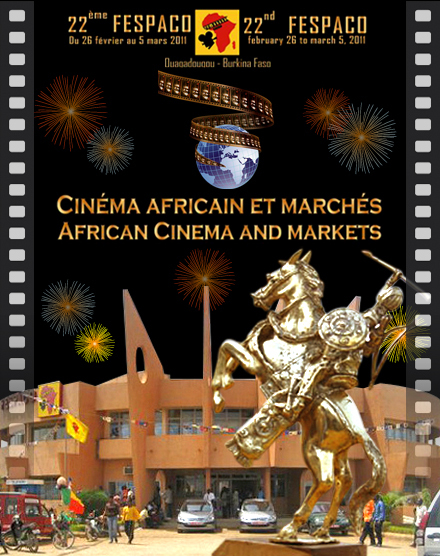 All the Winners of the 22nd edition of Pan African Film Festival of Ouagadougou (FESPACO). – Golden Stallion of Yennenga: “Pegasus” Mouftakir Mohamed (Morocco), a value of ten million CFA francs more a standard. – Bronze Stallion of Yennenga: “The Ideal Guy” Owell Brown (Ivory Coast), worth 2.5 million francs more a standard. – Prize of the European Union: “Our foreign” Sarah Bouyain (Burkina Faso), a value of eight million francs CFA. – Best documentary film school: “Oh whites” of Fatima Ouattara (Burkina Faso), worth two million CFA francs more than a diploma. – Best Fiction Film School: “White gold” Adama Room (Morocco), worth two million CFA francs. – Award for Best Actress: “Journey to Algiers by Abdelkrim Bahloul (Algeria), worth one million CFA francs plus a trophy. – Award for Best Actor: “A step below the corruption of Sylvestre Amoussou (Benin), worth one million CFA francs plus a trophy. – Best screenplay: “Journey to Algiers by Abdelkrim Bahloul (Algeria), worth one million CFA francs plus a trophy. – Award for best picture: “Mosque” Daoud A. Syad (Morocco), worth one million francs CFA. – Best Sound: “Pegasus” Mouhamed Mouftakir (Morocco), worth one million CFA francs plus a trophy. – Award for best music, worth one million CFA francs plus a trophy, awarded to Wasis Diop for his contributions in these three films in official selection of Fespaco. – Best scene: “Da Monzon conquer Samanyana” Sidy Diabate (Mali), worth one million CFA francs plus a trophy. – Award for Best Editing: “The weight of the oath” Kollo Daniel Sanou (Burkina Faso), worth one million CFA francs plus a trophy. – Award for best poster: “Tried the place …” Dahmane Ouzid (Algeria), worth one million CFA francs plus a trophy. – Third Prize Documentary: “Indochina in the footsteps of a mother” of Idrissou Mora-Kpai (Benin), worth one million CFA francs plus a trophy. – Second Prize Documentary: “The Witches of Gambaga” Yaba Badoe (Ghana), worth two million CFA francs plus a trophy. – First prize in the documentary: “The unbroken spirit” Jane Murago-Munene (Kenya), a value of three million CFA francs plus a trophy. – Award for best work in series TV / Video: “Ishmael the blundering” Mamadou N’Diaye (Senegal), worth two million CFA francs plus a trophy. – Special jury prize for a fictional TV / Video: Champions of Our Time by Kusari Mak (Nigeria), worth one million CFA francs plus a trophy. Prix the best piece of TV / Video “Hoperville” of Trengoue John (South Africa), worth two million CFA francs. – Oumarou Ganda Prize: “Our foreign” Sarah Bouyain (Burkina Faso), worth two million CFA francs. – Paul Robeson Prize: “The Loves of a zombie,” Arnold Antonin (Haiti), worth two million CFA francs plus a trophy. – Foal Bronze “Tienye n”, Daouda Coulibaly (Mali), worth one million CFA francs more a foal. – Foal money: “Taboo” Merien Riveill (Tunisia), worth two million CFA francs more than a colt. – Colt Gold Yennenga “Garagouz” Abdenour Zahzah (Algeria), a value of three million CFA francs more a foal.